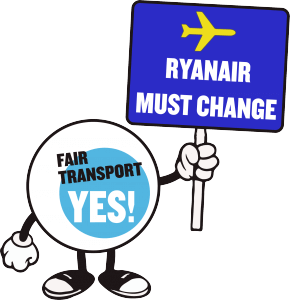 The International Transport Workers’ Federation (ITF) and European Transport Workers’ Federation (ETF) have analysed the records of shareholder votes published since the Ryanair AGM last month. The research shows that even fewer investors back David Bonderman than was initially publicised. On 20 September Ryanair reported 70.5% of votes in favour of Mr Bonderman, with 29.5% opposed. However, once abstentions are taken into account the level of support for the chairman falls to 67%. The total drops further if shares belonging to Ryanair directors are excluded, bringing the level of support down to 65%. Based on these results Mr Bonderman is now the least popular ISEQ20 chair, with a level of opposition over 10 times higher than for the average Irish company director in 2018. While reports are not yet available for all investors, those so far indicate that major asset managers including Columbia Threadneedle and Janus Henderson voted against Mr Bonderman’s re-election, while others such as Allianz abstained. All three are among the company’s top 20 shareholders. Separately, public data shows that some asset managers have been cutting their holdings in Ryanair over the AGM period. Filings show that Capital Group reduced its stake in the company from 17.01% on 21 August to 14.54% on 15 October, while FMR (part of Fidelity) dropped from 4.94% on 6 August to below 3% on 16 October. ITF and ETF wrote to shareholders at the beginning of September asking them to vote against Mr Bonderman’s re-election, citing his failure to hold Ryanair’s executive management to account. The same call was also made by the shareholder advisory firms Glass Lewis, ISS and PIRC, all of whom have serious concerns about Ryanair’s corporate governance model. Following the AGM, the UK’s Local Authority Pension Fund Forum (LAPFF) – one of the major institutional investors which voted against Mr Bonderman – has called for a new chairman to be appointed in 2019. If this does not happen, LAPFF will file a resolution to unseat Mr Bonderman at next year’s AGM. Meanwhile, the demands of Ryanair’s workers continue to go unaddressed. Although recognition deals have been signed in some countries, the vast majority of workers have still seen no improvement in pay or conditions since the company announced it would begin dealing with unions last December.